Subscribe to our newsletter to get exclusive offers, top trends and exclusive new releases. Every month, we look back into what's been happening in the world of squash. The highlight this month is Mohamed El Shorbagy's victory in Zurich, while the Egyptian hadn't won a title since November. The biggest event of squash history ended last night in Chicago and the Egyptians Nour El Sherbini and Ali Farag are the newly crowned World Champions. The Dunlop Precision Pro 130 squash racket is solid and durable thanks to its graphite premium composition. It is light, comfortable and tolerant. This pack of 2 Salming squash wristbands will allow you to play under better conditions thanks to their high absorption capacity. My Squash, more than an online store! My Squash is not just a squash shop. Our ambition is much bigger than that. We want to become the reference in the squash world. 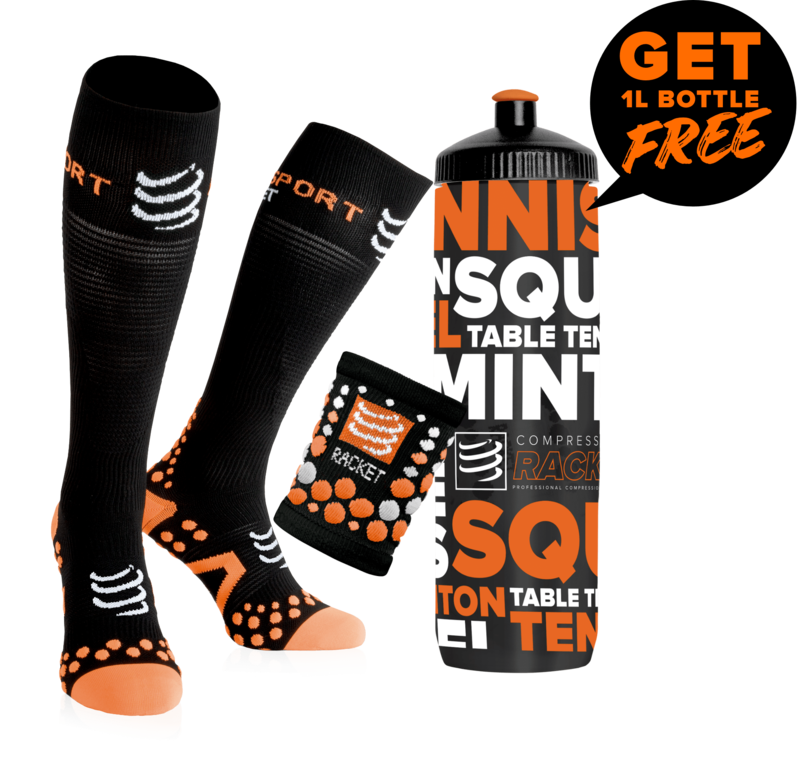 For more than two years now we have been convincing squash players to trust us with our wide selection of squash products that have been carefully selected by specialists. In addition to being the cheapest squash shop in France, My Squash is also a thriving community: several top players are part of it, including Camille Serme, Mathieu Castagnet, Lucas Serme, Raphael Kandra, Victor Crouin and many others. In addition to some internationally renowned players who have chosen My Squash to accompany them in their professional career, some coaches are also part of our community to be able to offer the best advice at any time on the courts. But our ambition does not stop there. Indeed, in addition to providing you with the best squash equipment, we strive to send you the latest squash information from the professional world through our squash blog which has now become an essential source of information. But our main mission is to be able to improve your game, to accompany you in your progress with for example, squash rackets or a pair of squash shoes adapted to your level and to unleash the champion inside you! And so that at any time you can do your squash shopping as quickly as possible and in the best way, all our pages are optimized on any device to provide you with the optimal experience on our website. The widest variety of squash product, accompanied by professional advice at all times. The latest trends that will boost your game. Whether you are a man, a woman or you are looking for products for children, you will find it within our wide selection of products. The widest selection of squash equipment: squash rackets, squash shoes, compression products, squash clothing, squash strings, grip, squash balls and the best squash accessories to accompany you and optimize your game, whether you are a beginner, intermediate or expert. The greatest diversity of brands: Dunlop, Eye Racket, Karakal, Tecnifibre, Prince, Wilson, Victor, Salming, Oliver, Blackknight, Head, Compressport, Adidas and many others... Because we want to offer you as many choices as possible, we strive to offer you new brands as often as possible. A large choice of squash rackets that you can first test to make the right choice, just contact our customer service. Answers to all your questions before, during or after purchase: we answer you instantly via our instant messaging, by email, through our social networks Instagram, Facebook or by phone. Products at the best price: in fact, we align ourselves every day with our competitors to make you benefit from the best possible price. Express delivery in 48 H to your home, because we know your needs and we know how important it is to receive your order as quickly as possible because a squash match or tournament does not wait! The latest squash news available on your smartphone or computer every month. You don't know squash but you want to get started? Squash is one of the most fun racket sports to play. Squash is played by two (or even four) players on a court completely surrounded by walls or glass walls. The goal is to hit a small rubber ball so that your opponent cannot play it back. Squash is the sport that eliminates the most calories! On average, it takes 45 minutes for a game, the cardio and mental must be there! Squash is one of the only sports where both players defend the same court and therefore the same playing surface, so it is important to be able to move quickly without hindering the opponent who could otherwise result in a foul (called stroke) and award the point to your opponent. At the point level, for squash, it is the same set system as for tennis, but these are called games. To win a match you have to win 3 games. A game is won when one of the players has reached 11 points with 2 points difference. For the record, a squash game used to be played up to 9 points (called British scoring today vs. American scoring). The service in squash can be complicated for a beginner: for it to be correct and valid, it is necessary to serve with at least one foot in a small square which is located on the ground, and to serve above the line of service (the highest of the opposite wall). The ball then has to land in the other part of the court, where the adversary is located. To play squash, you need to be equipped with a squash racket, a squash ball but also squash shoes that are adapted to moving that are very fast on a squash court. On My Squash, you'll find everything to get started. Just choose a beginner squash racket, a pair of squash shoes and you're done! Do you have any doubts? Don't worry, the My Squash team is there to serve you and answer any of your questions. In addition to that, we can put you in touch with our coaches to develop your level! Thanks to our Facebook and Instagram account, you can follow us, read reviews and exchange with many fans! For your squash racket or any equipment you bought on My Squash, you benefit from a "satisfied or refunded" guarantee valid 30 days from the day you receive your order! For more information, please read our general conditions of sale. Because you are our number one priority and we know how important it is for you to receive your order as quickly as possible in order to play squash, we ship your order immediately within the day after receiving your payment if it is placed before 15:00! Any order above 80€ will benefit from a free delivery in France! You will receive an order confirmation email, an email to notify you that your order is being prepared and an email to notify you that your package has been shipped and a tracking link to track your package at any time.